This book is on sale on Amazon for $0.99 (regularly $2.99) 7/11/2018 - 7/18/2018! Finally! A Step-By-Step Blueprint For Setting Goals You'll Actually Achieve! Are you sick and tired of setting goals that never come to pass? Imagine pursuing a new skill, a coveted promotion, a promising relationship, a toned physique, or financial independence, without a shred of doubt that you'll succeed. The P.R.I.M.E.R. 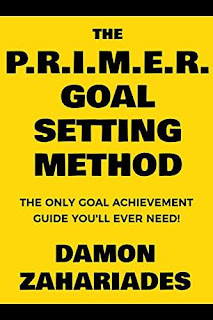 Goal Setting Method is a simple, effective, 6-step system that'll help you to accomplish anything you set out to do!